My YouTube Channel is dying. Since now I finally have a good computer, internet and a bit more time in my hands, I want to return to publishing those tutorials you all love. But, just to reduce the chances of problems, I need non pirate content spread across my channel to reduce my chances of being taken down. What would you like to see more? Sims 3, Sims 4? Let's Play or Let's Build? Live streams (normal speed) or speed builds (edited, but faster)? Anything you'd like to see soon? 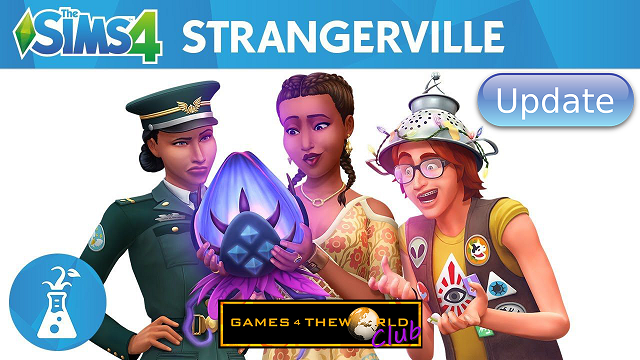 How about a sims 4 let's play legacy? I am not (and never was) a YouTuber. But the issue is usually the same in all these cases. Google and these other "tech giants" that offer some kind of service for free, rely to a great deal on advertising revenue. Now, since practically everybody these days uses adblockers, things get tricky. And YouTube has been cracking down everywhere. One of the things I heard of was that the general focus will be more on "family-friendly content", and YouTubers swearing a lot in their videos got caught by the algorithm, and some, or all, won't be able to monetize their videos. I apologize for the vagueness here, and if I don't know all details. I am just replicating from my memory. But yes, there have been numerous algorithm changes. I'm also sure that piracy-content will be placed very low, in the algorithm. Either way, one thing you could maybe try is do more streaming, maybe even use Twitch for that, instead of YouTube. Or, maybe try new games. Various pundits have also (rightly, in my opinion) pointed out that low-quality/sensationalist content of any kind gets preferred by the algorithm because of its tendency to get viral very quickly. Take those prank or clickbait videos for example. Or to use a more contemporary example, these "fake news" and/or conspiracy-themed videos after some violent/terrorist incidence. I don't know, this entire streamer/let's player-thing seems to me, that it is only doable if you have the time and resources to do so.